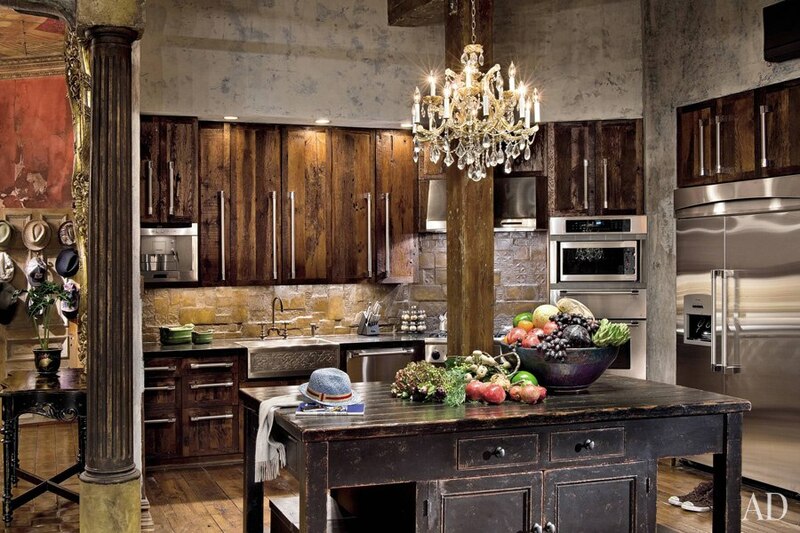 Celebrity Kitchens | Vim & Vintage - design. life. style. Ever wish you could tour a celebrities home? I was looking on Architectural Digest’s website this morning, and saw this slideshow with celebrity kitchens, and thought I would share with you. My favorite is Cher’s kitchen in her Los Angeles duplex. Love the detailing in the cabinets and the neutral colors! So global and homey. 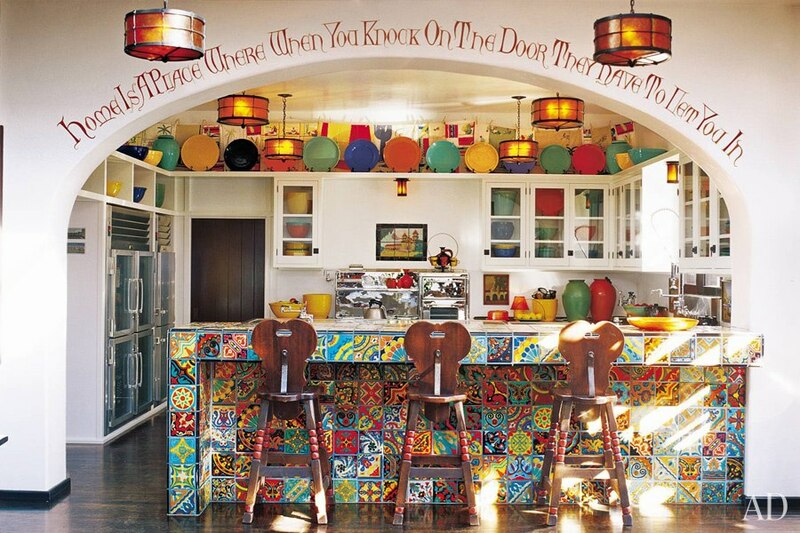 Can you believe this kitchen belongs to Sharon & Ozzy Osbourne?? I really like it, just would expect something more dark and dramatic. 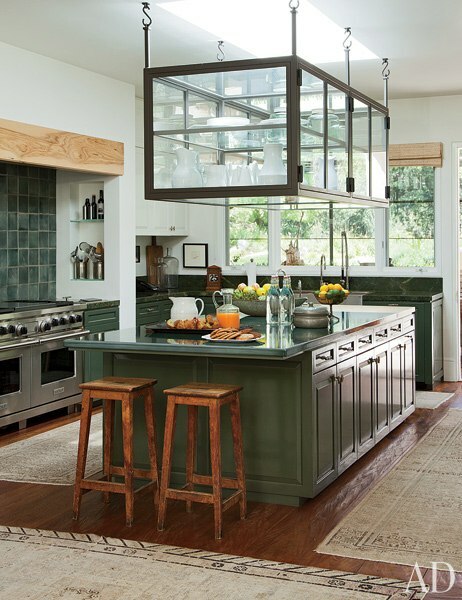 Hank Azaria’s country yet contemporary kitchen. Great layout and use of materials. I LOVE Ellen DeGeneres and Portia de Rossi’s kitchen in their Beverly Hills home. 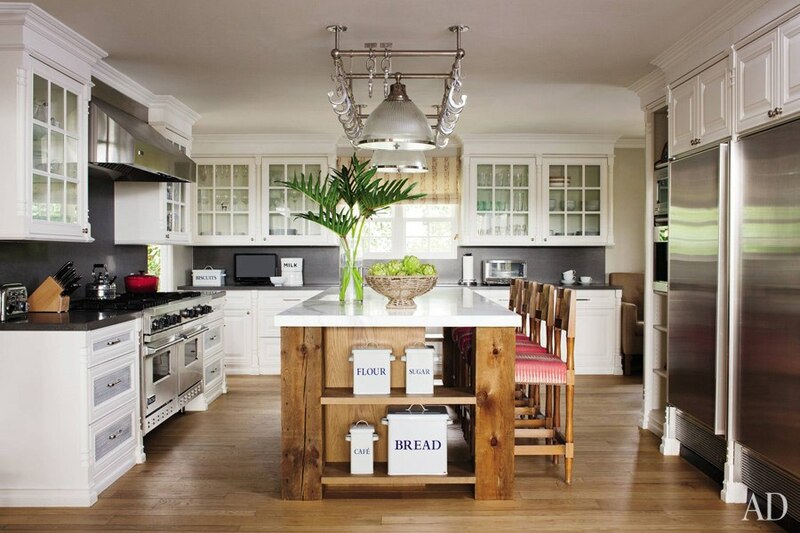 Clean lines and Arts & Crafts touches give this kitchen a timeless effect. Doesn’t really surprise me that the kitchen above belongs to Elton John! Bright accents and modern glamour. I would have never guessed that this kitchen belongs to funny man Gerard Butler! It just like it belongs to an old man. 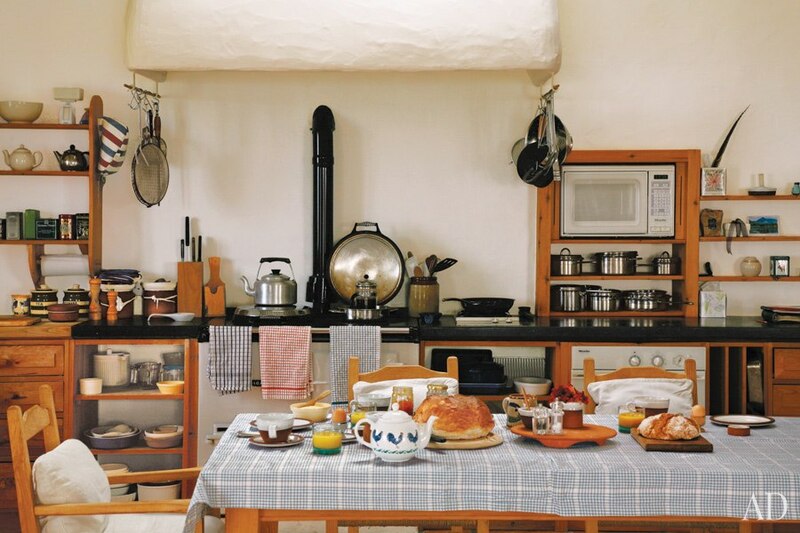 I’m not in love with Angela Lansbury’s farmhouse style kitchen. 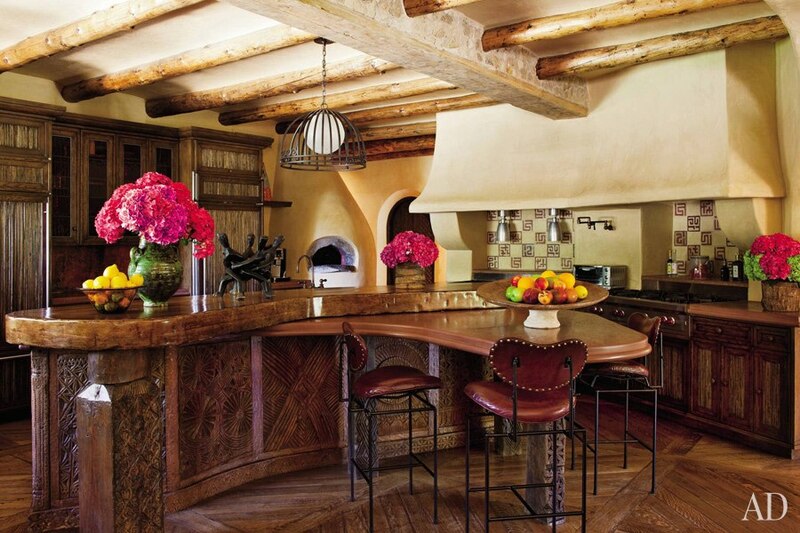 Diane Keaton’s kitchen is quite interesting. I like the tile, but it’s a little overwhelming. It does get brownie points for character though. This last one is Will Smith’s. I think it’s a little old-fashioned and blah for him. He needs something more modern! I like the reclaimed wood beams though! Are these celebs kitchens what you expected? Which one is your favorite?? Good point Shona – I think you’re right about that! 🙂 And thank you! !